It’s the first days of summer, and this draft has been on the back burner giving way to other bigger trips I’ve had. So before I start writing about my next destination, which took place last month in an icy setting and is the exact opposite of what we will be experiencing in the coming days, I’d like to take you to a place in Nueva Ecija. A little gem, they say it is. It was a spur of the moment and as these things go, we all made it. Sometimes to plan is vain. The small part of an otherwise well-paved road was only wide enough for our Explorer to safely get its way past the stream, thanks to this boy who helped us navigate our way. Thanking him after, he offered to be our guide. Enterprising young man. And so for 500Php, the then 14-year-old AJ took us around his playground. In the foothills of the Sierra Madre lies a protected area in the municipality of General Tinio (sometimes also called Papaya – don’t ask me why) where the Penaranda River flows cutting through magnificent limestone walls. 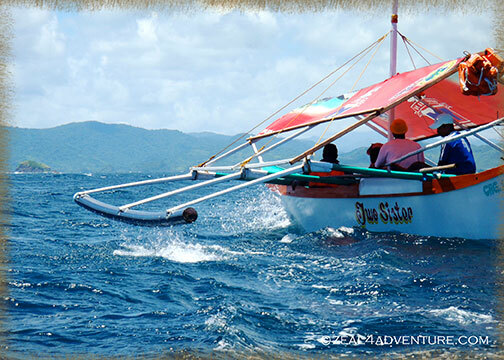 One can trek to the caves through the limestone wall, swim in the crystal clear, refreshing water or simply soak in the scenery while enjoying a packed lunch on the raft. Do try to make your way there if you haven’t. An enjoyable day trip it certainly was. 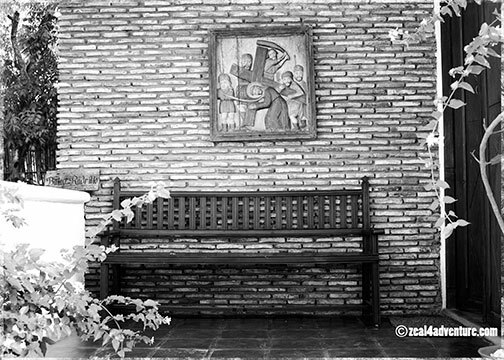 In Sagada like the rest of the country, All Saint’s Day is the day they gather together and remember the departed. But while it is common to light a candle or two, the indigenous community of Sagada, instead burn wood from old pine, locally known as “saeng”. The Panag-apoy, as the Kankanays call this ritual, was an event I had wanted to witness since I learned of it many, many years ago. Not for lack of trying but victorious, I never was until two years ago. The threat of rains, I thought, would once again thwart the gathering as it did in my previous attempts. But lo and behold, the sun came out on that 1st day of November and finally allowed this curious spectator a glimpse of this unusual ritual. A ritual that’s been practiced since the 1900s and is not purely indigenous. 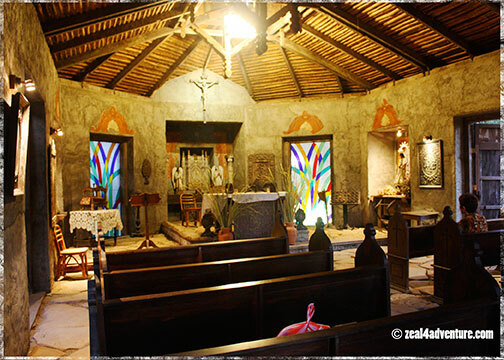 It is a combination of Anglican rites, influenced by the teachings of American missionaries, and the Igorot culture. It starts with a liturgical service at the Church of St. Mary the Virgin. Followed by the blessing of the saeng and the tombs. And as the priest moves around, one by one the saeng gets lighted and laid by the tomb. By day’s end, the Sagada cemetery behind St. Mary glows in the dark. And truth be told, it is a surreal sight to behold. Like me, many go to witness, document or to just experience this amazing tradition unique to the northern Kankanays. Credits: JSprague Digi in Deeper course material. Adams. 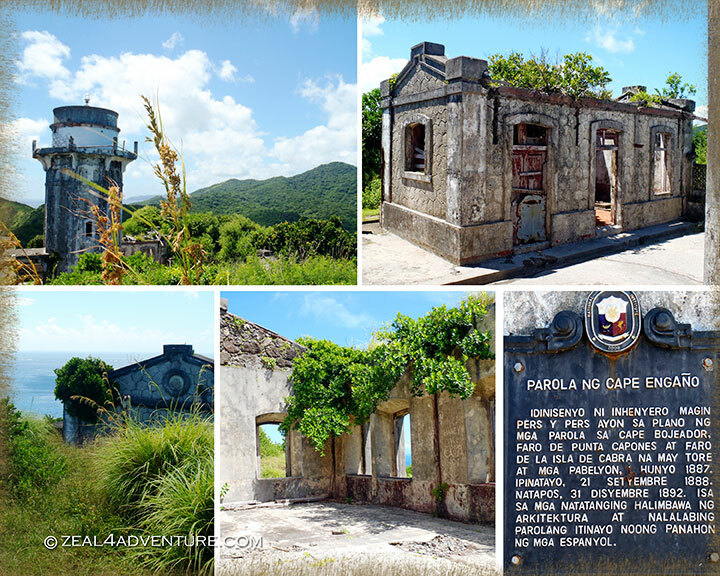 A familiar name yet peculiar for the Ilocos Norte, yes? With names like Laoag, Pagudpud, Paoay… Adams sounds off. The first time I heard of Adams was 16 years ago when Anton explored the river with fellow guides. He raved not only about the river but its natural surroundings as well. 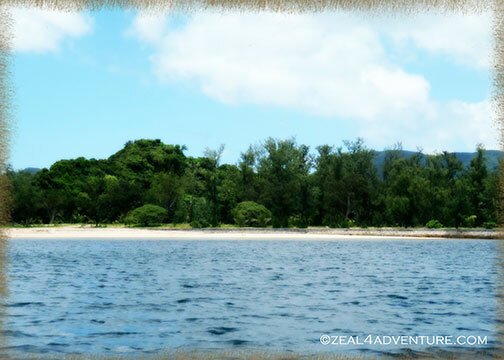 He went back several times to raft and to kayak the Bulo River but never with me. 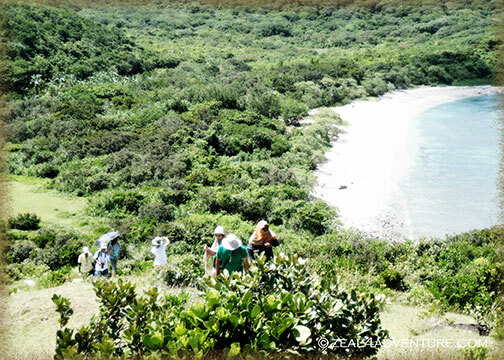 In 2009 on an Ilocos Road Trip, we attempted a visit to Adams to hike to the waterfalls. It rained, and we chickened out. We never made it to the town. This was at the junction where we’d take a habal-habal (motorcycle for hire) to take us to town. We were treated to a cultural show. 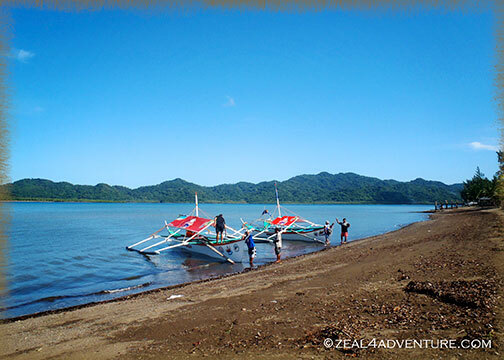 It is a small town of only one village but is a melting pot of ethnic groups composed of the Yapayao or Itneg, Ilocano, Igorot, Kankan-ay and Ibaloi, which explains why their cuisine is different from the Ilocano dishes we know. We had fried frog, udang (river shrimps), stir-fried pako, and mountain rice. 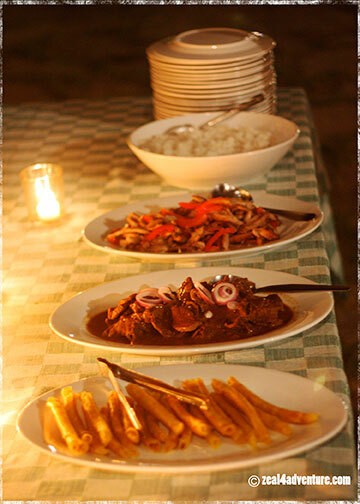 It is a hodgepodge of the various ethnic groups and what is locally available like gabi (Taro), crab lets, baby damo (wild boar), frogs, Udang (river shrimps), purple mountain rice, and my favorite, stir-fried pako (fiddlehead fern). Like its name, it is a divergent from the rest of the region. The climate is pleasantly cool especially at this time of the year, with temperatures just a few notched higher than Baguio. I wish I had made more effort to visit this mountain-river town. It took me fifteen years to finally set foot here. My first trip to Adams was last year around this time. Ask me how many times I’ve been back since. Four so far. I have fallen in love with the area. Expect more posts from me. Meanwhile, here are some photos to whet your appetite for the place. This is my new paradise. The Bulo River from a bridge. Lush forest en route to Anuplig falls. Hospitality to the hilt. Entertainment provided by the villagers. Ilyn’s Homeystay: our home in Adams. 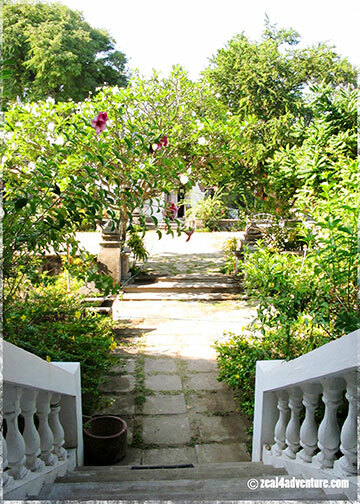 Lovely grounds at Lover’s Peak. Unless it is really impressive, I rarely write about accommodations on this blog. But this beach resort has definitely impressed. It’s a destination of its own, a place to pause and recharge, do nothing and pretend that you’re from an era of yesteryear. 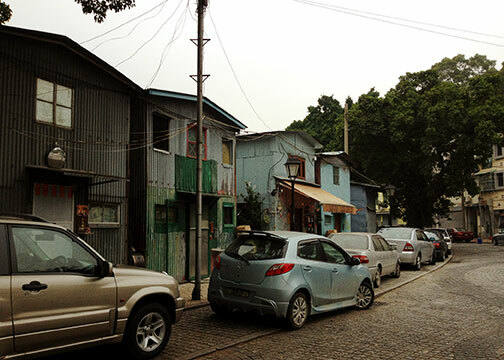 In Victoria Village in Currimao, on an 18,000 square meter land facing the South China Sea sits an amazing recreation of a typical mid-20th-century village. 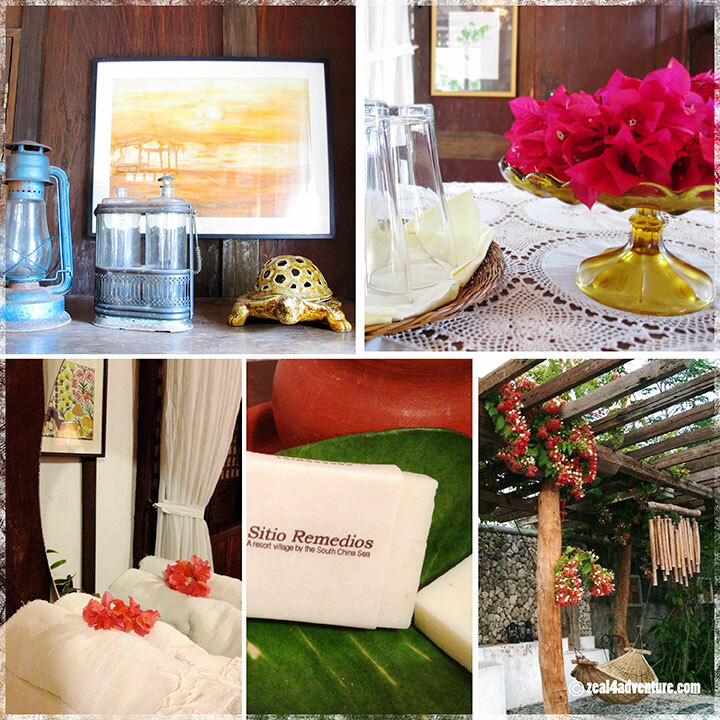 Undeniably a work of love by owner Dr. Joven Cuanang, a Medical Director of St. Luke’s Hospital, his love for the arts greatly manifested in this stunning village he calls Sitio Remedios. 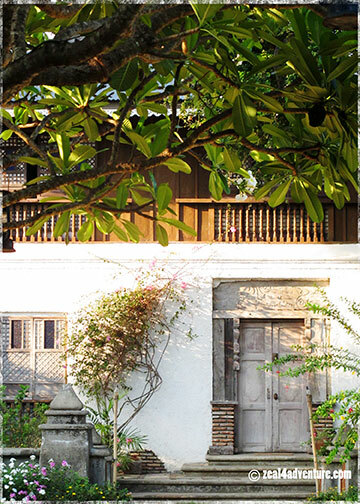 Its main attraction is the rows of vintage-style Ilocano houses made of salvaged bricks and woods from mid-century houses (about to be demolished) to resemble old ancestral houses. 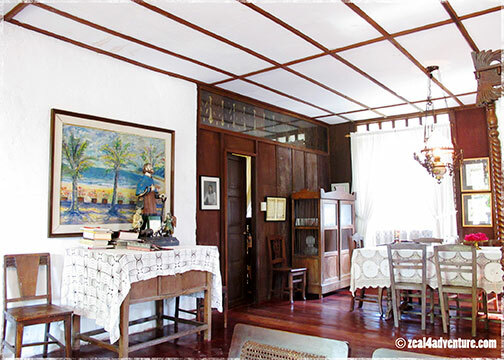 Most of them were named after the town of Ilocos Norte such as Batac, Dingras, Piddig, Bacarra and San Nicolas. 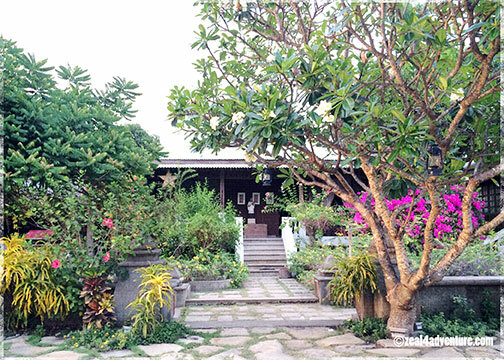 The bungalow assigned to us, Balay Dingras, has 2 rooms, a living and dining area, and a spacious front porch that leads out to the plaza. 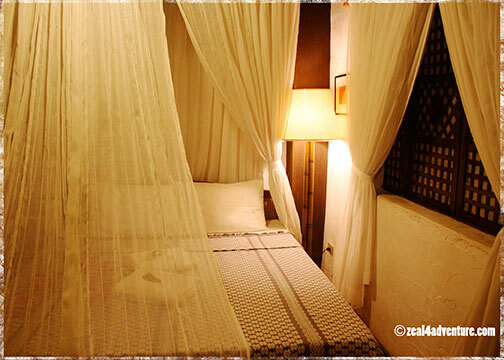 Furnished with antique furniture, a daybed even in the sala, decor are vintage and to complete the look, crocheted tablecloths, Inabel (a local weave) woven bedding, and blankets were used. Each room has a Queen sized bed and its own bath. 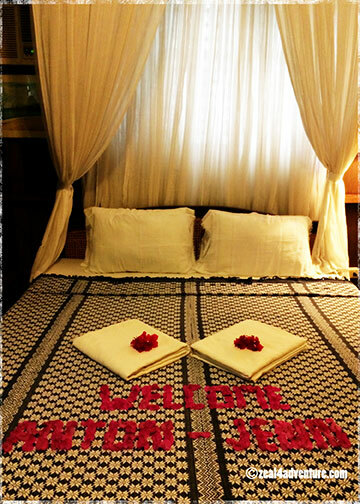 A welcome message on our bed – a nice touch. Dingras and all the other balays (house) face the square they call Plaza Manzanilla. Laid out in a grid typical of Spanish times, fencing off each house are manzanilla (hence the name), Bougainvillea, and gumamela bushes and few ancient trees adding character to the square. 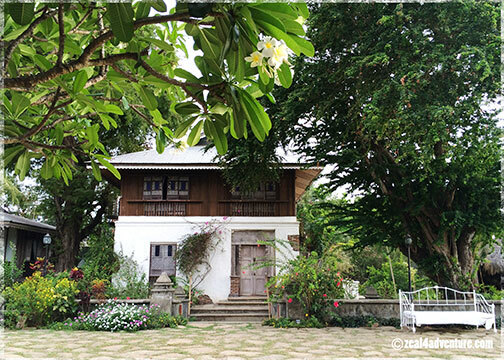 A chapel that opens out to the plaza, a pool facing the sea and a dining hall that serves exceptional home-cooked Ilocano favourites completes this village. 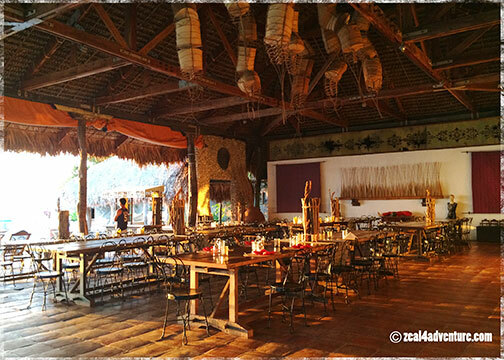 Tucked quite away from the main highway, all our dinners were had at the resort. Turned out to be the best decision we’ve made. 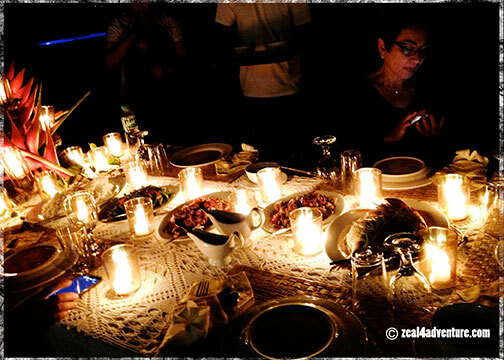 Meals were simple yet superb and very well prepared. The dishes were served buffet style and depending on what’s available in the market. 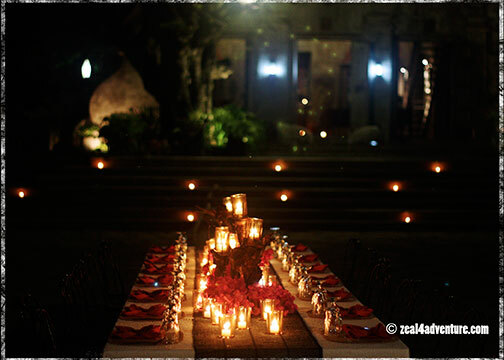 Dinner venues change every night, one night in the main dining hall, another near the pool area and our last night was a romantic setting at the plaza. How can you not feel special and totally recharged with such detailed service? 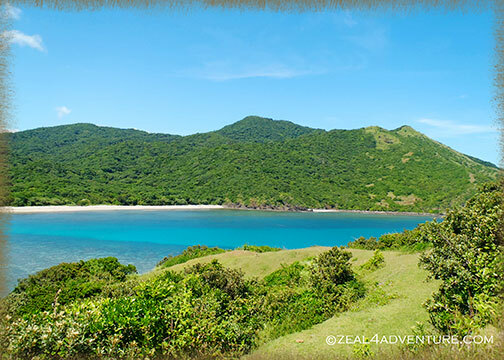 Currimao is in the southwestern part of Ilocos Norte, near the northern border town of Paoay. 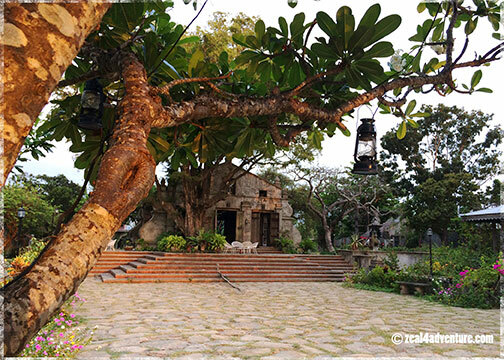 An hour away from Vigan, and only 25 minutes away from Laoag, Sitio Remedios is an ideal base to those who prefer to explore the Ilocos Region leisurely. It was a quick trip to Hanoi… just four days. Got to admit, it was way too short, but a quick getaway was all we can spare. There will be a next time (that’s for sure) when I eventually make my way to Hoi An and Hue. 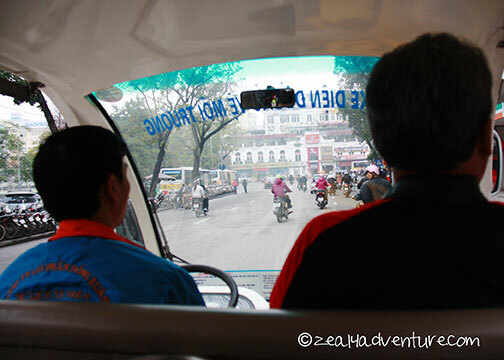 Before I end this short series on Hanoi, let me leave you with a few more cultural highlights to consider. Not exactly an award-winning performance but it is a tradition that dates back as far as the 11th century and interesting insight into its theatre culture, which the Thang Long Water Puppet Theater attempts to keep alive. A unique variation on the ancient Asian puppet tradition that involves the water, the Mua Roi Nuoc uses nature as the theme with ponds and flooded rice paddies after harvest in their acts to satisfy the spirits. The puppeteer stand behind a screen and control the wooden and lacquered puppets through rods and string mechanism hidden beneath a waist deep pool that is also the stage. Located near the shores of Hoan Kiem Lake, the theater offers several performances every day from 16:15 to 21:15. Book in advance because it often gets filled. Most lodgings can help in that area. This one piqued my interest. 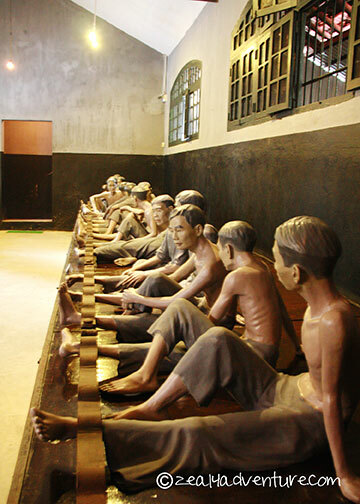 Popularly know as the Hanoi Hilton, this museum was once a prison. 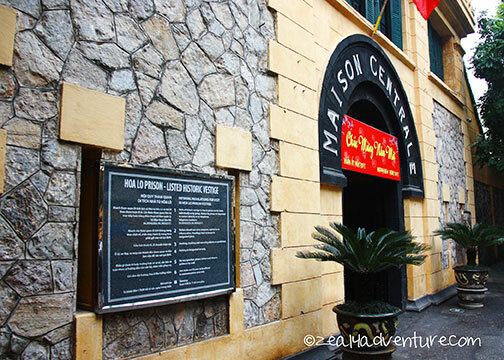 The Maison Centrale was first used by the French to house political prisoners, and later by the North Vietnam for prisoners of war. And because of this, the American POW sarcastically gave it its famous name. The museum provided some insight on the gruesomeness that might have taken place in the POW camps. Guillotine and guns remained in the hall. Albeit gory, it was an engaging stop over from a day of wandering around the city. 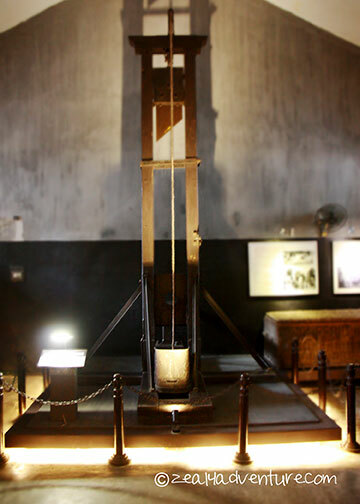 One of the two guillotine that the French Colonialist used to behead revolutionary patriotic soldiers imprisoned in Hoa Lo Prison. 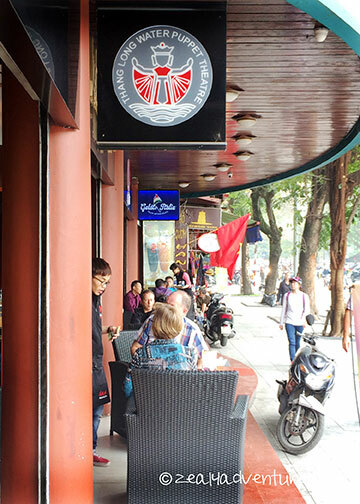 In Hanoi, most establishments have narrow frontages and are built beside each other; Hoa Lo Street is the only street with only one address – the prison. It occupies the length of Pho Hoa Lo, right at the corner of Pho Ha Ba Trung on the edge of the French Quarter. 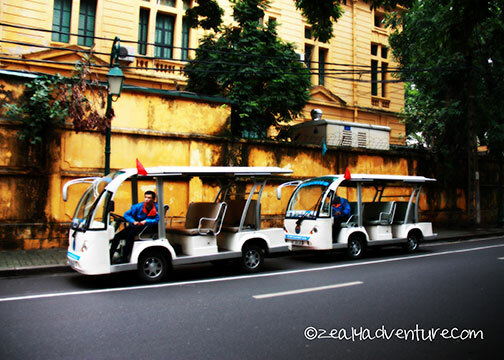 For 15,000 VND, these cars are an easy and a green way to get a grip on the surroundings. 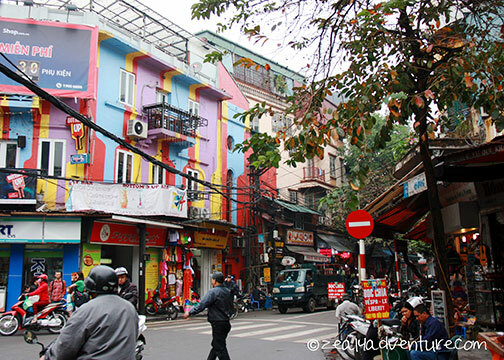 It takes you to places of interests in the Old Quarter and Hoan Kiem Lake area, which provides a wonderful overview of the area and highlights sections you want to explore more. Each car can carry up to 7 passengers at one time and takes about 45 mins to an hour (depending how long you stop at each attraction). 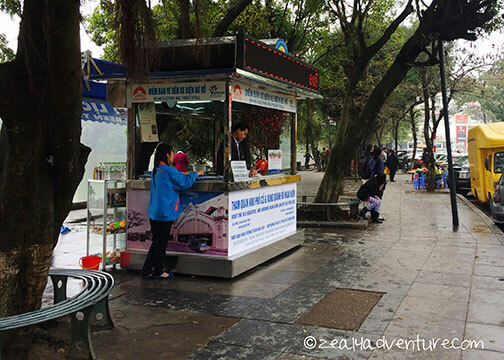 Tickets are sold at a stall in Dinh Tien Hoang Street – the tree-lined boulevard right next to Hoan Kiem Lake, opposite the Thang Long Water Puppet Theater. With the number of e-cars parked nearby, it is easy to spot. 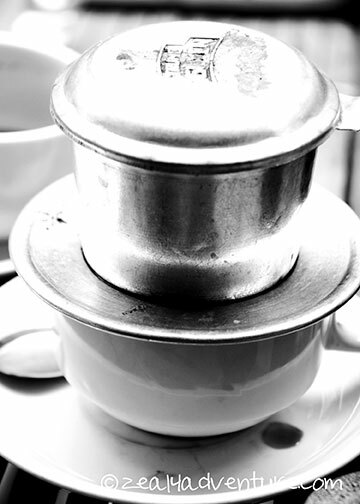 And if coffee is your thing, you know that you can’t pass a day without enjoying a cup of slow drip Vietnamese-style coffee, hot or cold. 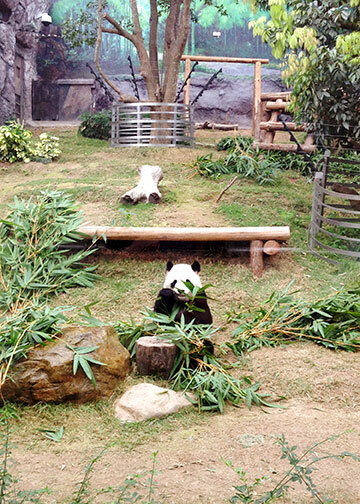 In a simulated indoor garden, Xin Xin munched on bamboo leaves. She seemed unfazed by the crowd, albeit small at 10 in the morning. Outside, Kai Kai is the same, although he seemed more playful than his friend. 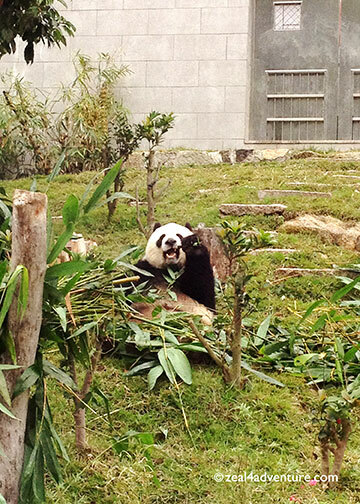 We took the 26A bus from just across Hotel Lisboa to the Seac Pai Van Park in Coloane to visit a pair of pandas from Chengdu. 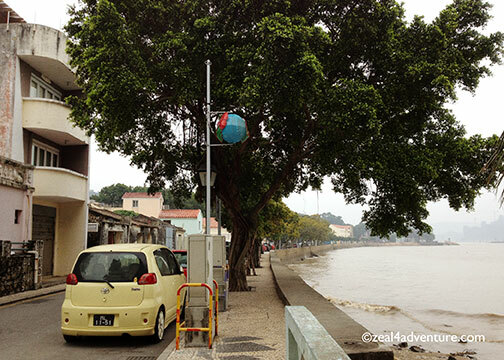 Set in the southernmost island, we’ve never been to this part of Macau, and thought we’d visit the city and spend a few hours in the park. We started early and arrived at the park before it opened, so we hopped on another bus that dropped us off at the Coloane Village Square. At 9 in the morning, the village was half awake. 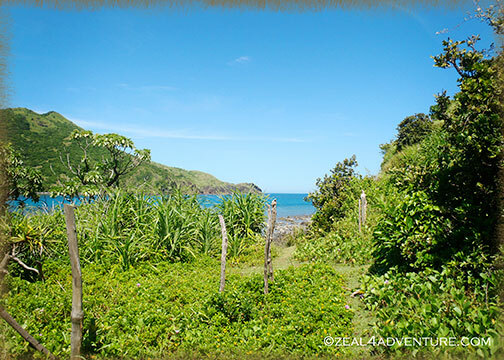 We explored a bit of the area but didn’t reach the village center. 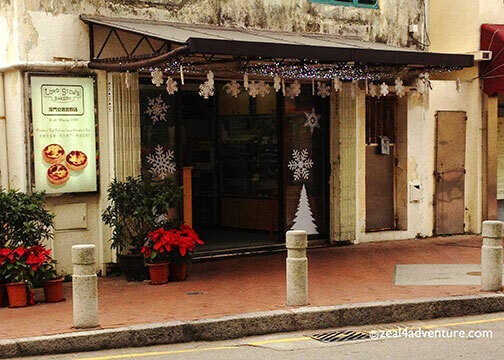 Right next to the square, however, as you walk toward the sea front promenade is Lord Stowe’s Bakery. and devoured it while waiting for the bus to take us back to the park. Nestled against the hillside with Alto do Coloane serving as backdrop, Seac Pai Van Park is designed around the terrain. 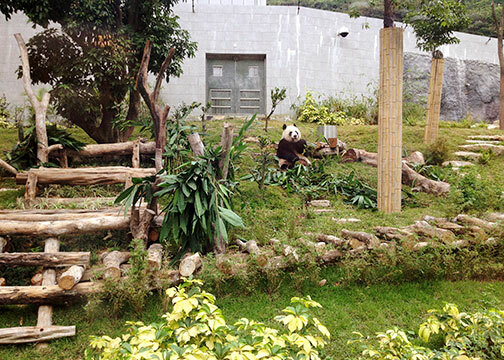 Found within the park is the Giant Panda Pavilion, the pair’s new home, simulating their natural habitat. 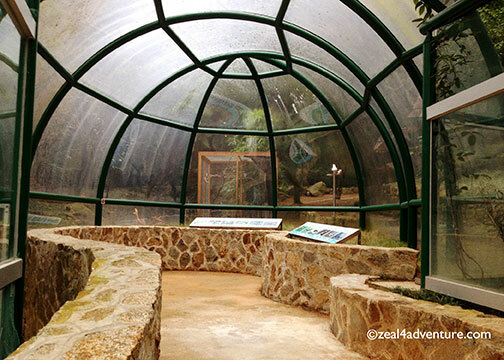 The multifunctional park, once a farm, is now considered as the largest natural green belt of Macau. 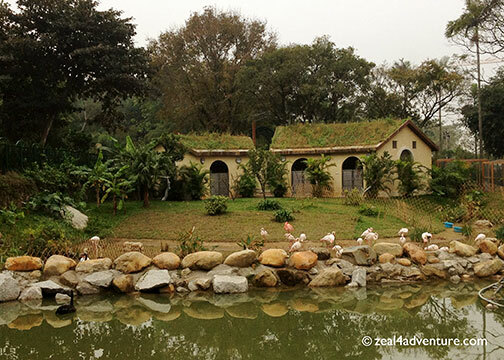 and a pond with a few flamingos and other waterfowl. 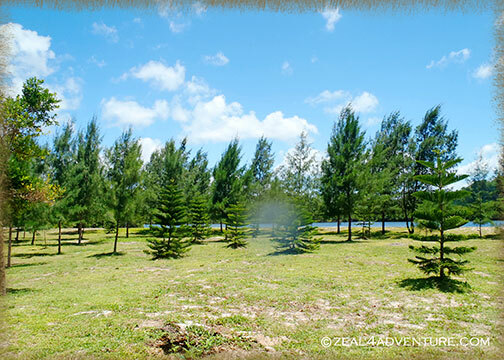 The 20-hectare lot is easy to explore in just a few hours. 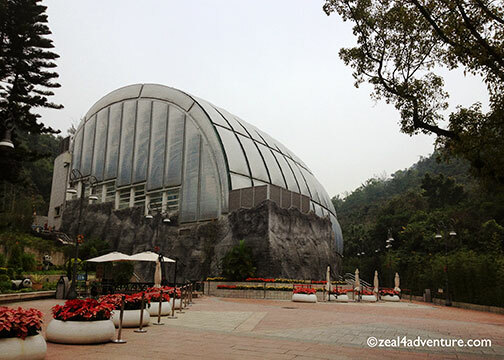 If you are into flora and fauna, this place may disappoint, but for the price (MOP$10) and the pandas, the park is worth the morning. The village, I believe, though, is worth exploring… on my next visit. 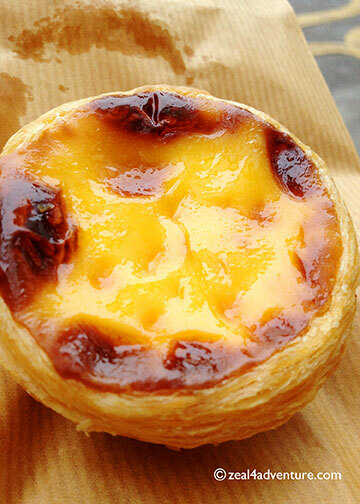 But while in Macau check out the many good eats this island has to offer here, here, here and here. I’m with some novice trekkers, not that I mind, it is an easy trek after all. I am thrilled, in fact, to have them experience the joy of summiting after an uphill struggle that seemed never-ending and pointless, and to realize, after all that trouble, that the reward is usually at the peak. 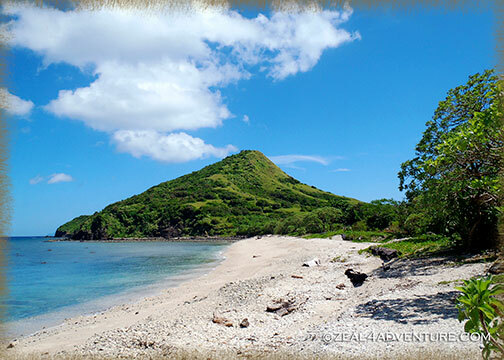 Named the 3rd best beach and island of the Philippines by CNN Go April of last year and just like that, Palaui caught my attention. I’ve been going back and forth to Sta. Ana for a few years now, but Palaui was never on my radar. Maybe because it takes more work to get there and that includes braving the (sometimes) treacherous sea. 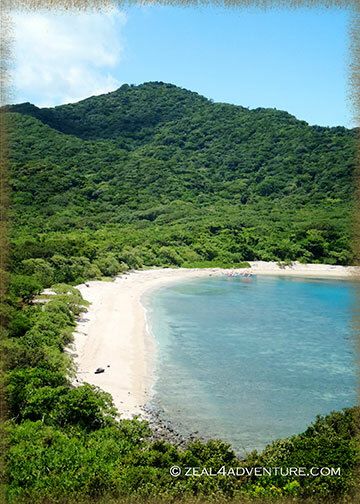 A protected area, the island lies between the South China Sea and the Pacific Ocean. 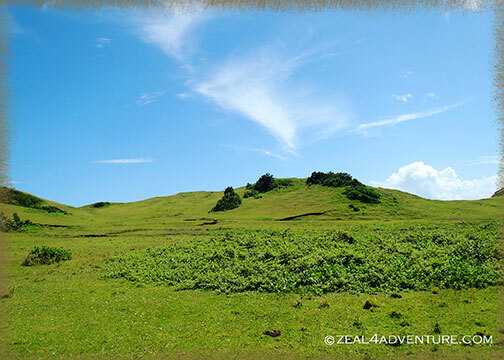 It boasts of a nice long stretch of white pebble beach, abundant marine life, a century old lighthouse, a waterfalls hidden somewhere and a scenic rugged terrain. 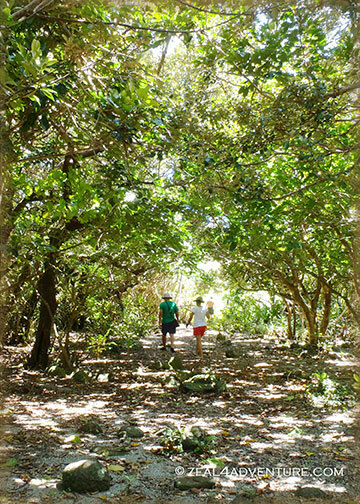 It is pretty much uninhabited, with only a small community living in the island. No electricity and accommodation to speak of. So one fine day, along with the same people I spent several Sta. Ana weekends together, we took off from the shores of Sun City in San Vicente and headed to Palaui. An hour, perhaps more on the boat and we arrived on the island. 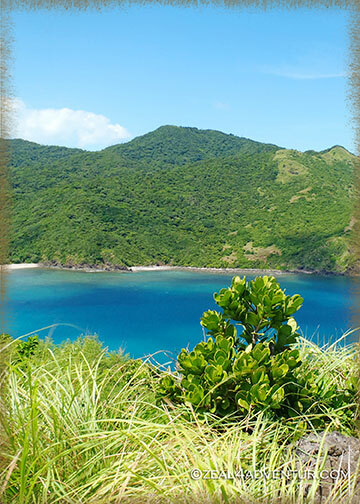 which lead to a short forest walk before we emerged on the other side to beautiful rolling hills reminiscent of Batanes. 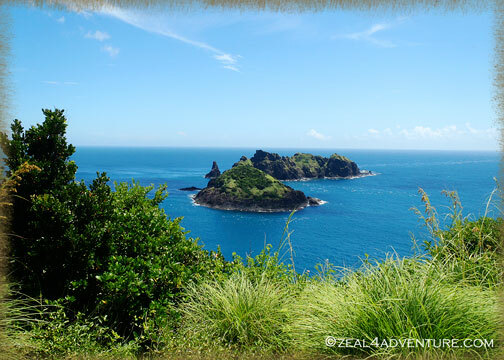 We then climbed (more than) some steps that would eventually lead to the summit where Cape Engaño stands. The view along the way took my breath away. from the beach to the top of the lighthouse… all I can say was SPECTACULAR. And the new recruits were enjoying themselves too. 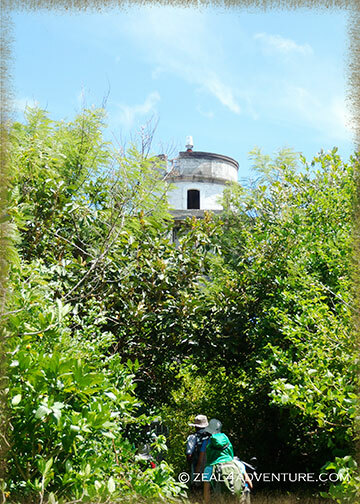 Not that difficult to get to, we took the Lugunzad trail, which took all of just 30 minutes from beach to lighthouse. There is a waterfall somewhere, said our guide, but all this walking made the others hungry. And so the initiation is over, we will take baby steps and insist on the waterfalls some other time. At a beach named Gotan, lunch was already being prepared. 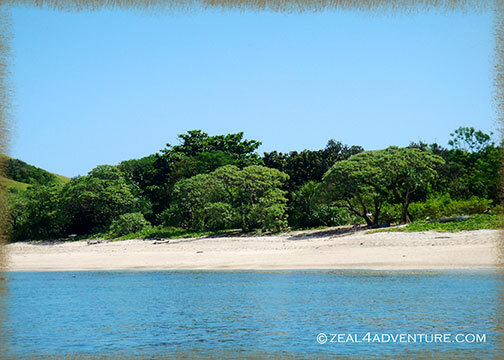 A private beach, we had to arrange to use a few days earlier. We had a sumptuous meal of everything grilled. 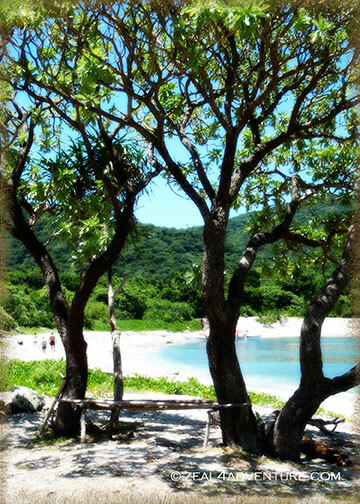 There, we lounged around, enjoyed each other’s company amidst beautiful Agoho trees. That’s how to initiate novice trekkers. Yes?